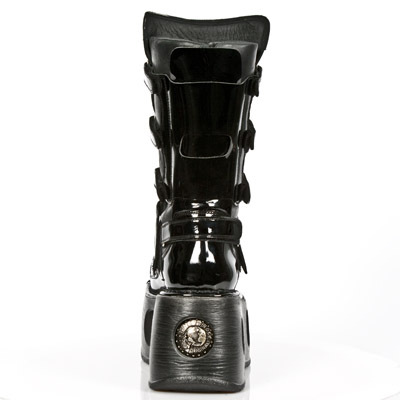 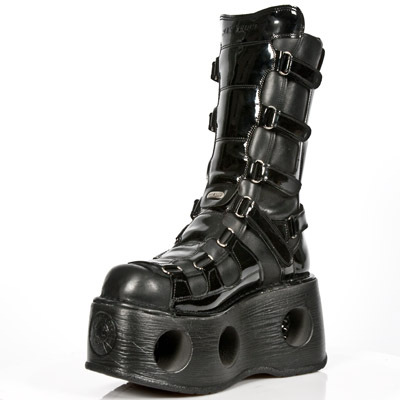 Black boots (leather/patent), part of the New Rock Metallic/New Space Collection. 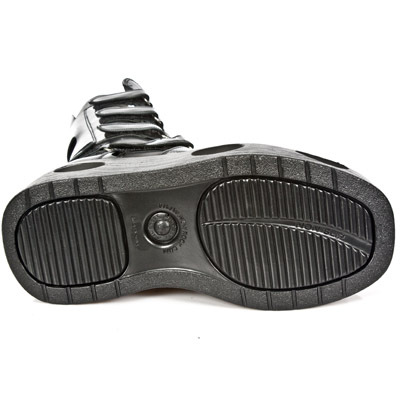 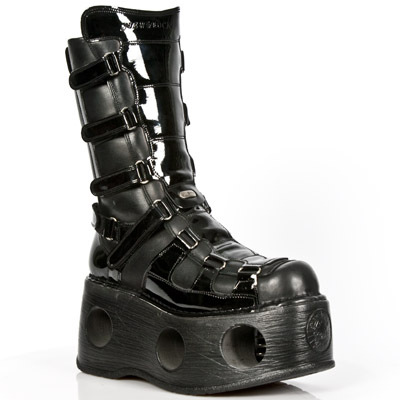 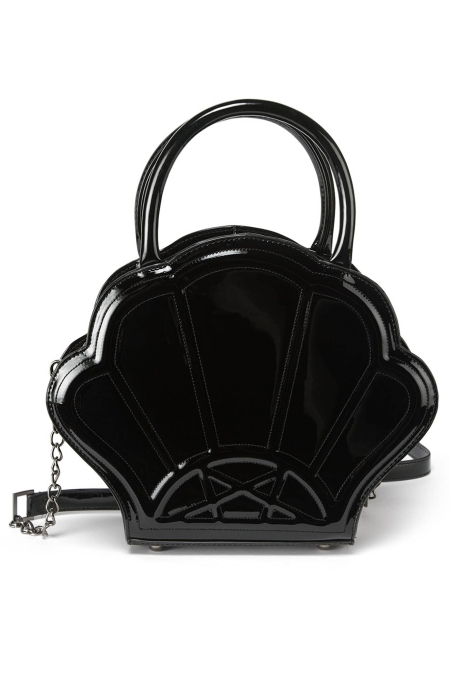 Features: *Platform soles with spring-loaded chambers *Adjustable straps with velcro closure. 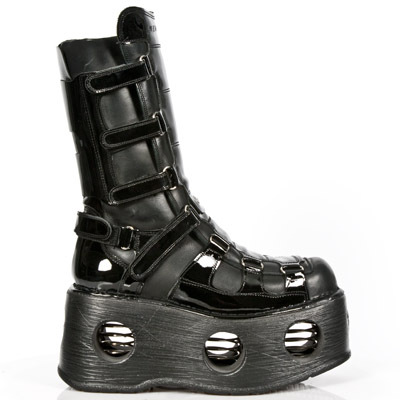 *Shaft height: 22 cm *Heel height : 9.5 cm *Platform height: 6 cm Available for immediate delivery is EU size 42 and 43. 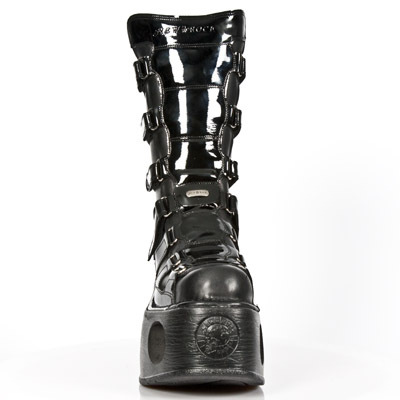 The regular price of these boots was euro 380.95.